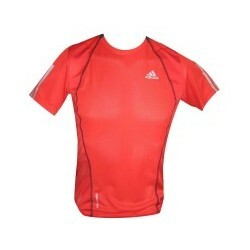 The adidas adiSTAR short-sleeved Tee with high breathability is a multifunctional mens running shirt. Various technologies, which were developed to suit athlete's needs, guarantee optimum mobility, antibacterial action and great wearing comfort. In order to ensure that the body stays pleasantly cool and dry, the ClimaCool technology takes care of ventilation and moisture management andoptimum wearing comfort and outstanding performance are the result. Using Flow Mapping data, anatomically shaped inlets have been placed in those critical areas of heat build-up and airflow in order to enhance the ClimaCool effect without using any additional materials or technologies. 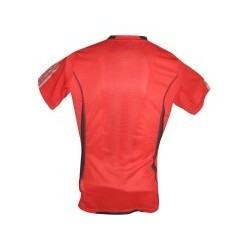 Due to its innovative 3D pattern (ForMotion), the adiSTAR short-sleeved Tee convinces through its optimum fit, wearing comfort and total mobility. 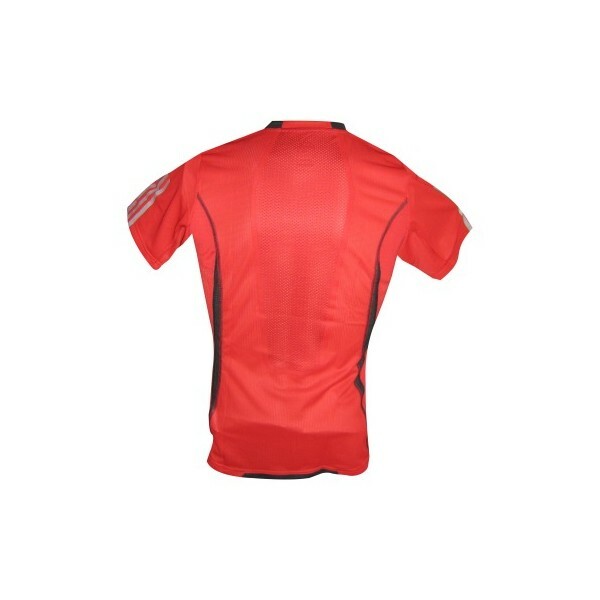 The mens running shirt's fabric contains X-Static, the revolutionary fibre system made of pure silver which conducts heat away from the body. Adidas' running shirt was developed to provide athletes with performance, optimum wearing comfort and style in any situation, be it training or competition. 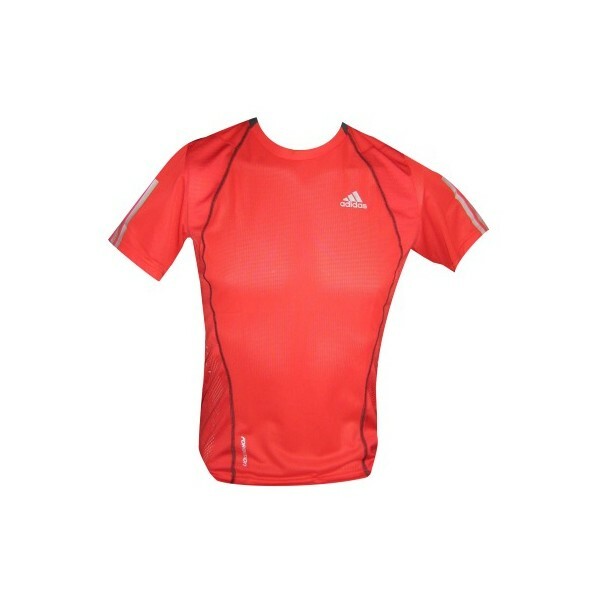 The combination of plain elegance and various technologies makes the adiSTAR short-sleeved Tee the ideal aid for training and competitions.